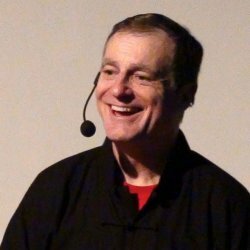 Ottawa StoryTellers Festival in 2017! StoryFusion Cabaret! 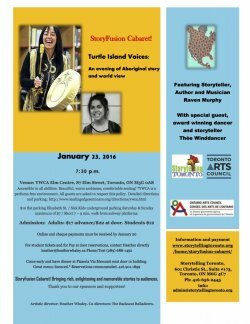 Turtle Island Voices: An evening of Aboriginal story and world view. Featuring Storyteller, Author and Musician Raven Murphy. 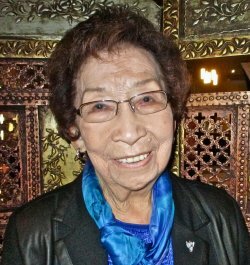 With special guest, award-winning dancer and storyteller, Thée Winddancer. The dates for the 2016 Mosaic Storytelling Festival in Toronto have been announced! They are: Jan. 24, Feb. 7, Feb. 21, Mar. 6 and Mar. 20. Join us for an open workshop of new and exciting stories! November 13, 2015. 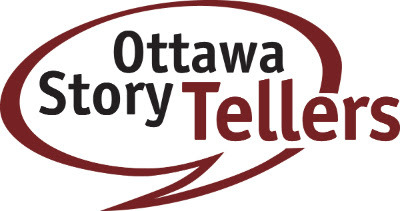 The Baden Storytellers host Stories Aloud at The Button Factory, 25 Regina Street in Waterloo on Second Fridays of the month, from September through June. Raconteurs presents "NEIGHBOURHOODS" - June 17th! Join us on June 17th! This month we’re sharing stories of NEIGHBOURHOODS! at the Sandy Hill Community Centre located at 250 Somerset Street EAST near the University of Ottawa. 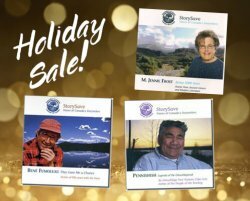 Storytelling Toronto Festival Launches with World Storytelling Day! 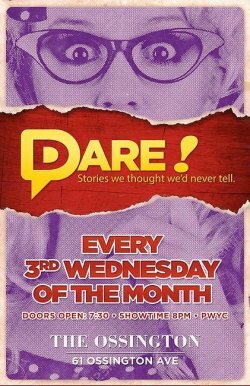 March 20th event out of the Village of Storytellers project in Toronto and leading off activities for the Toronto Storytelling Festival. 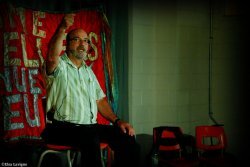 “If Wishes were Horses…”, featuring Burlington Storyteller Bob Tadman and Carol Leigh Wehking, from Cambridge.